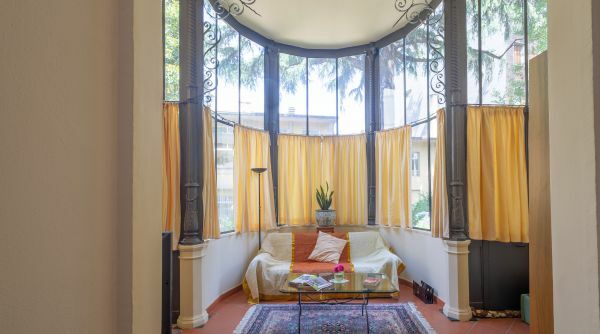 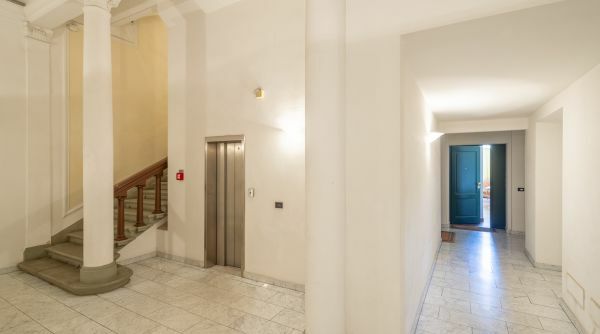 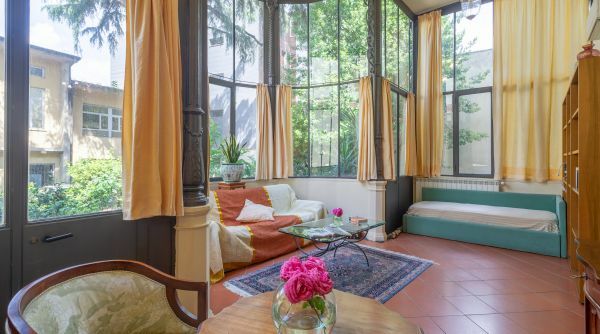 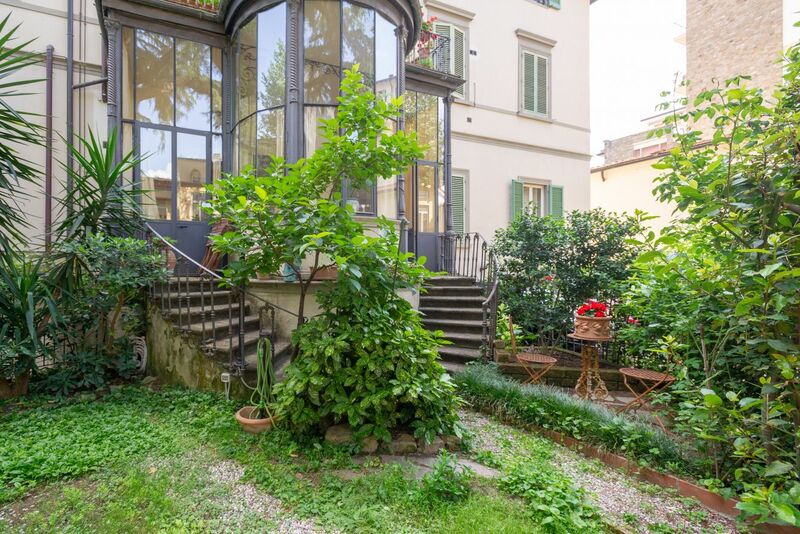 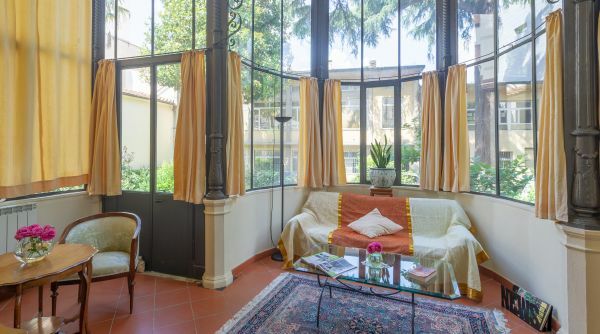 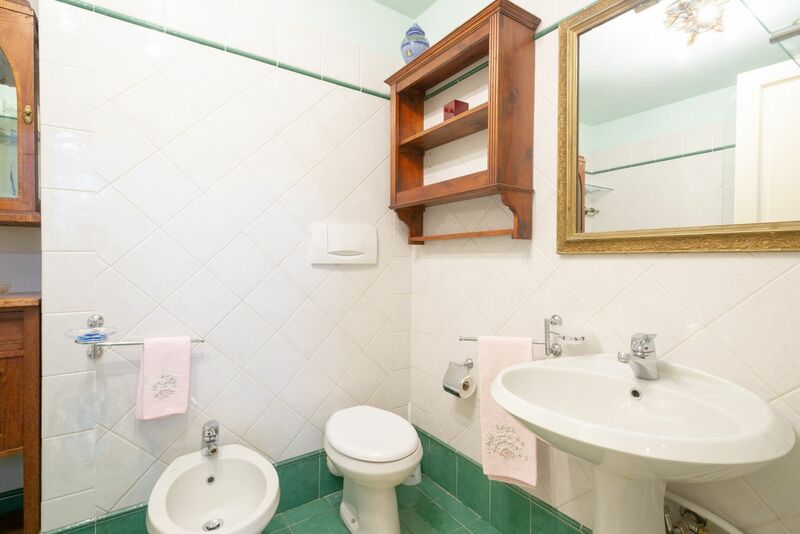 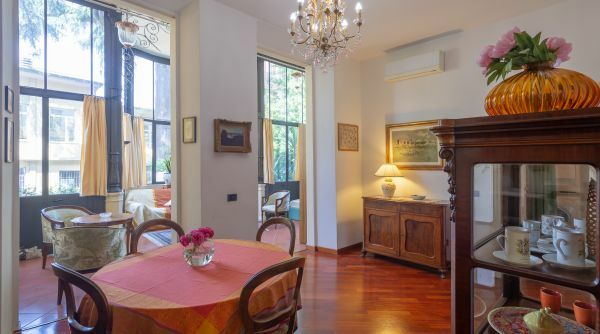 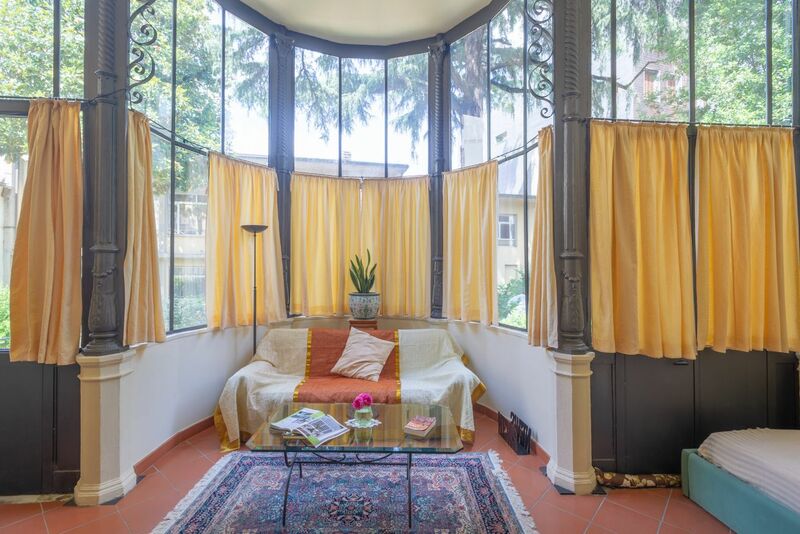 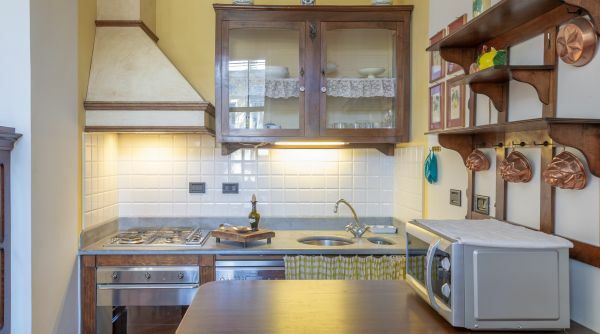 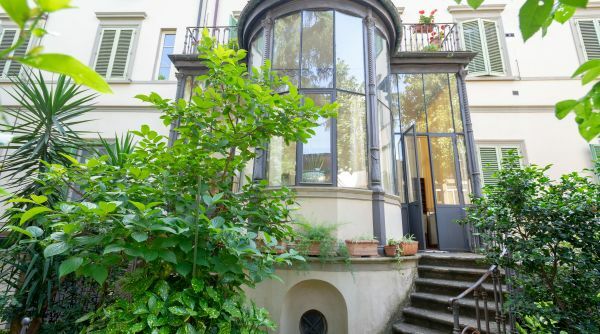 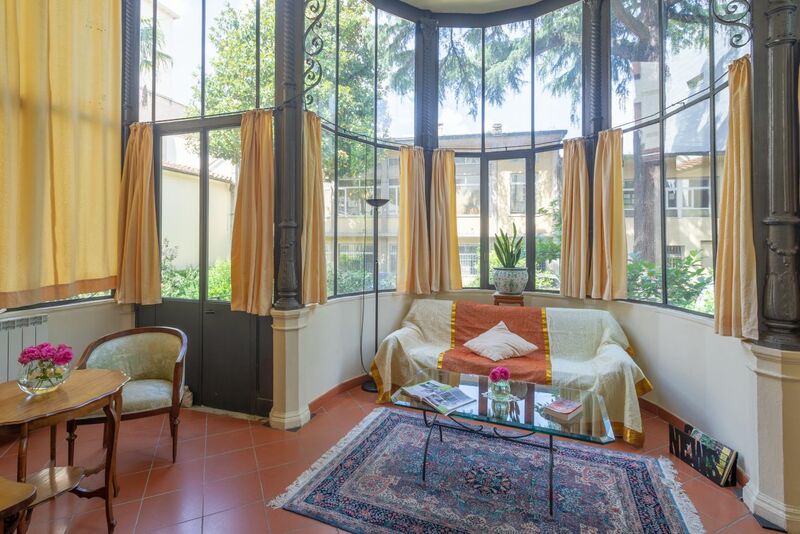 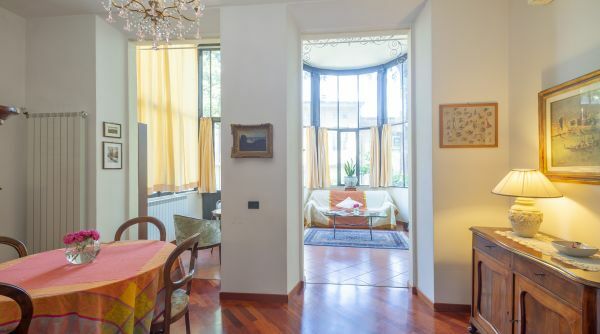 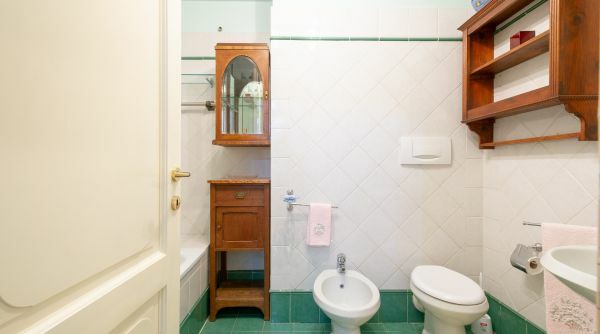 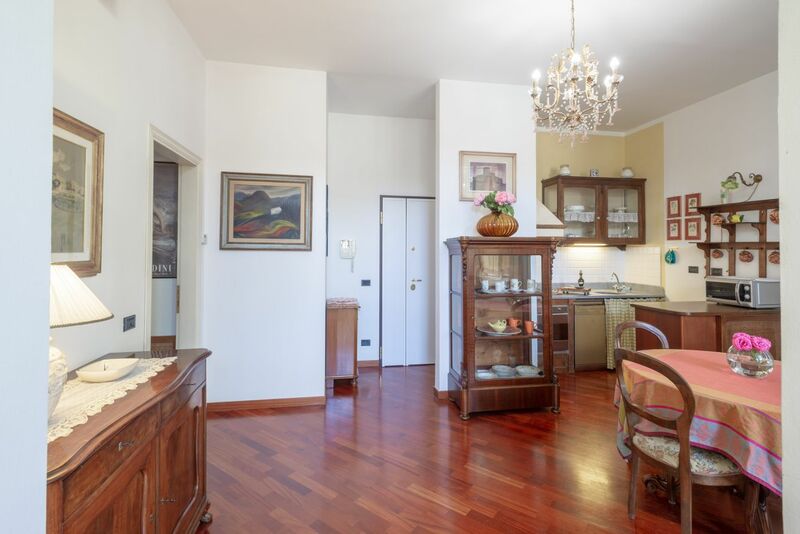 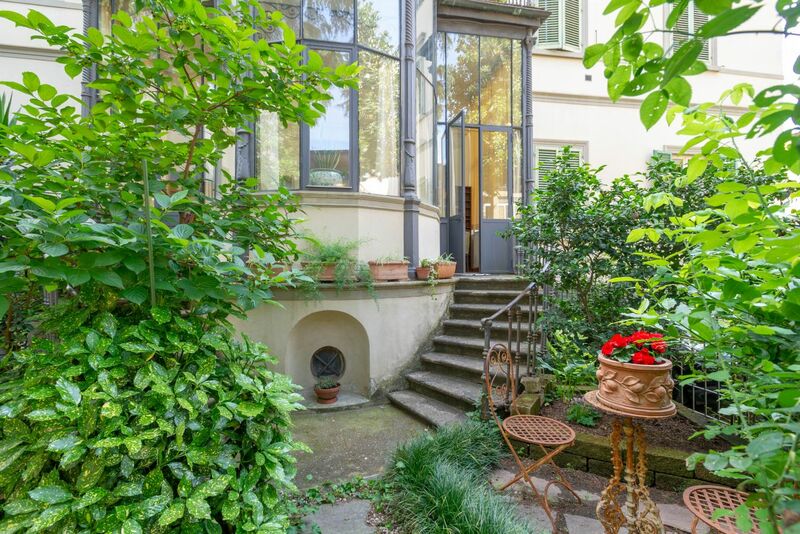 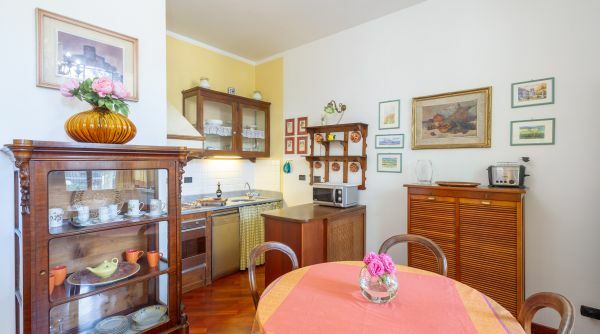 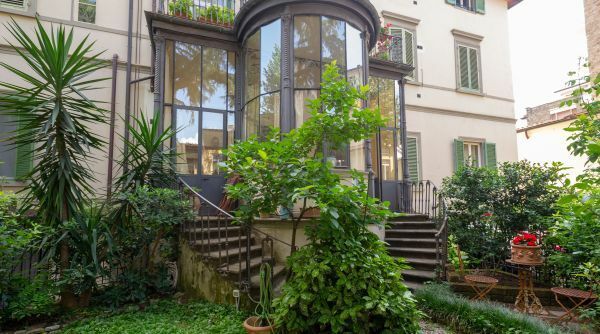 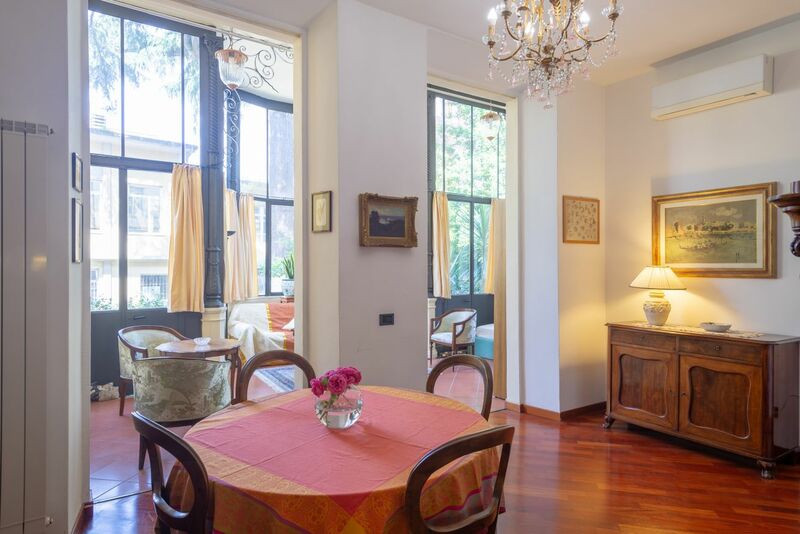 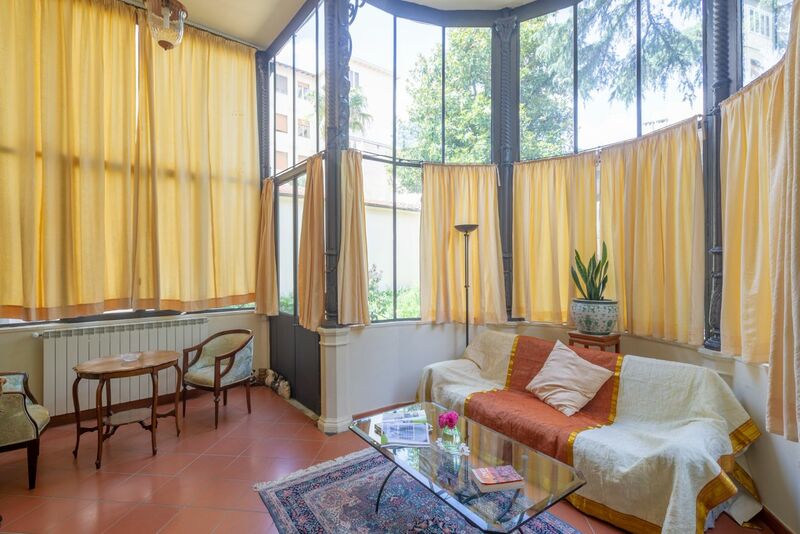 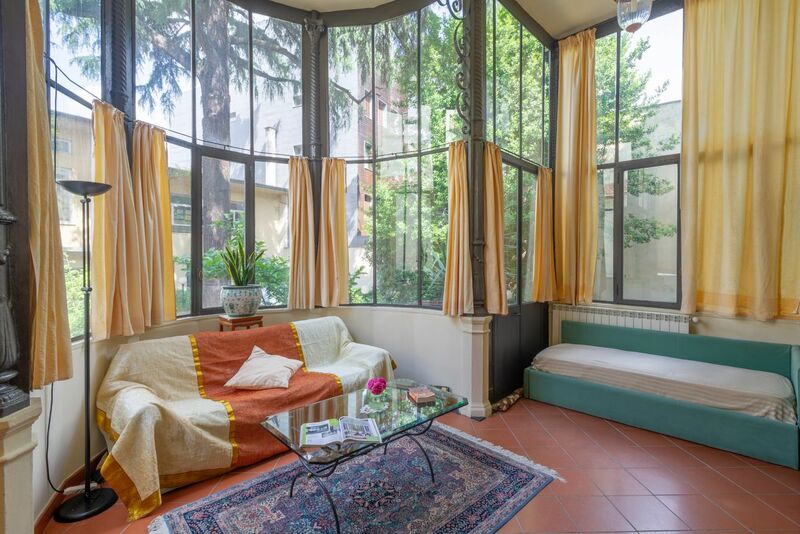 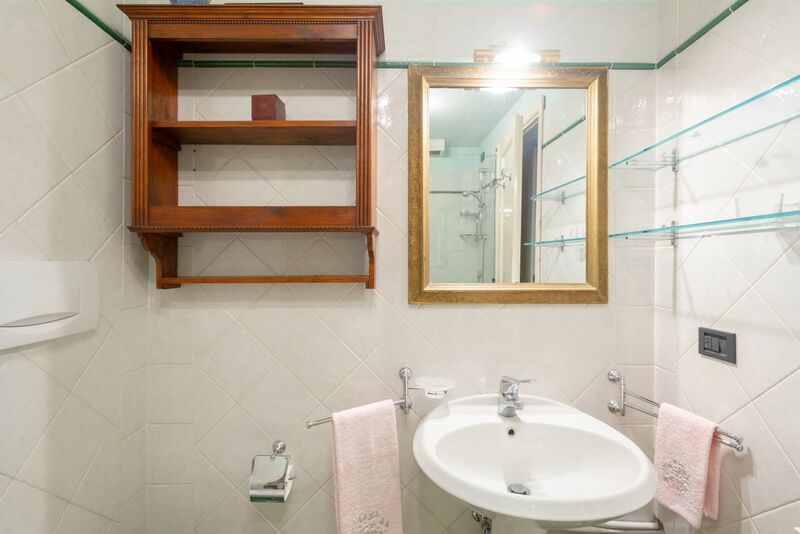 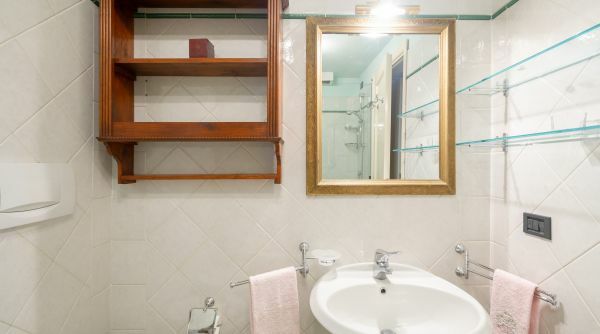 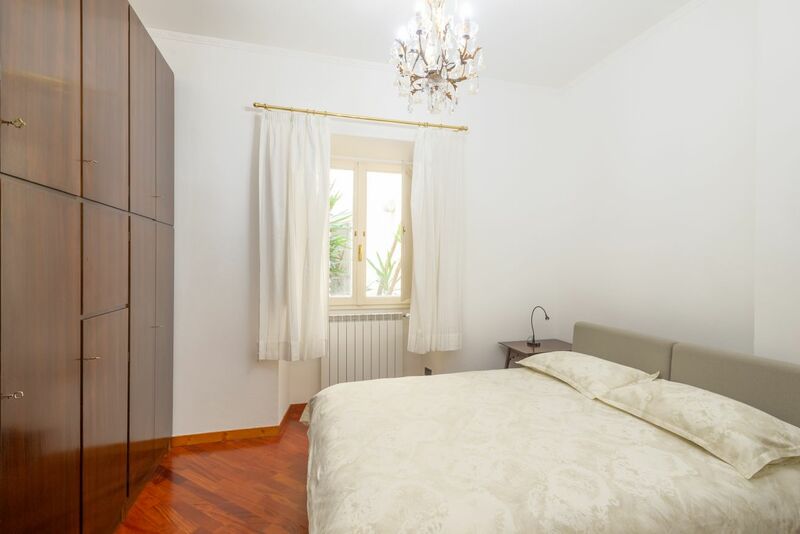 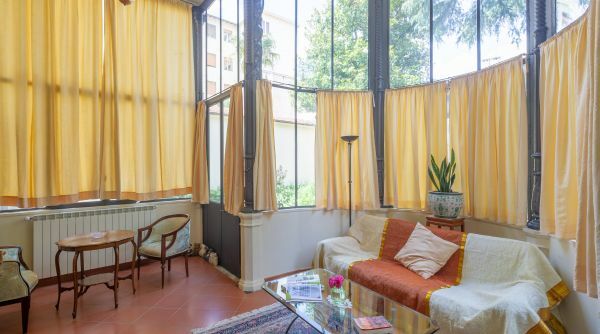 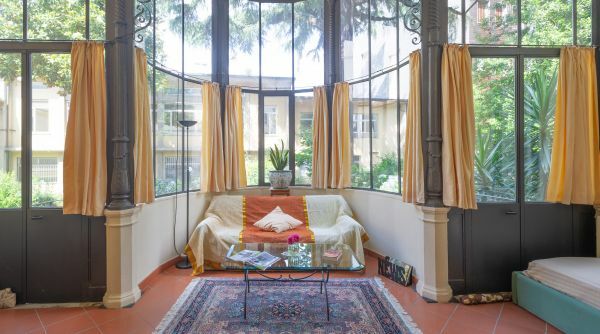 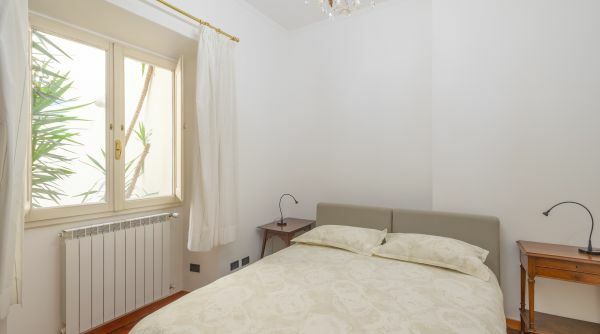 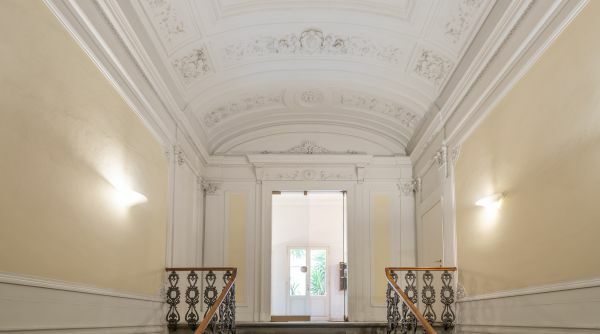 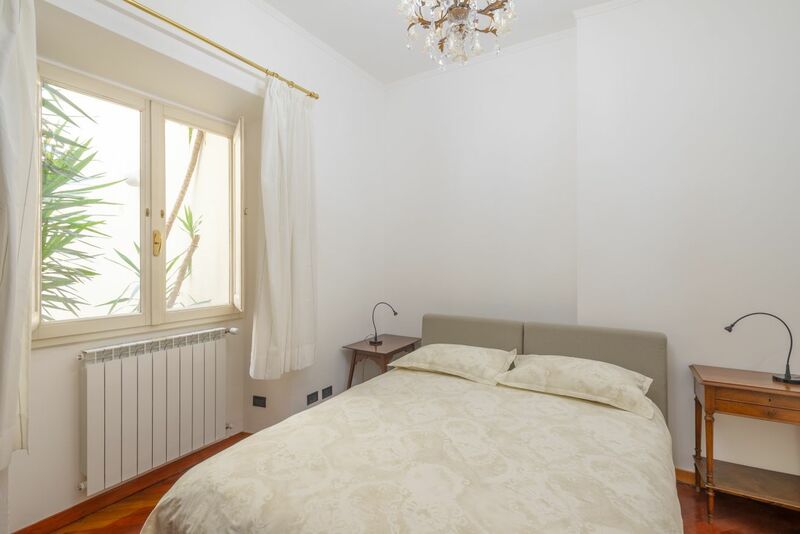 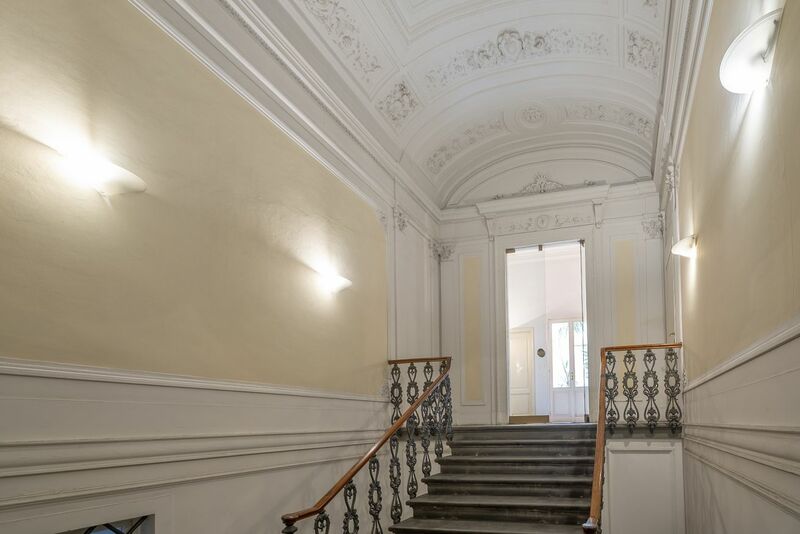 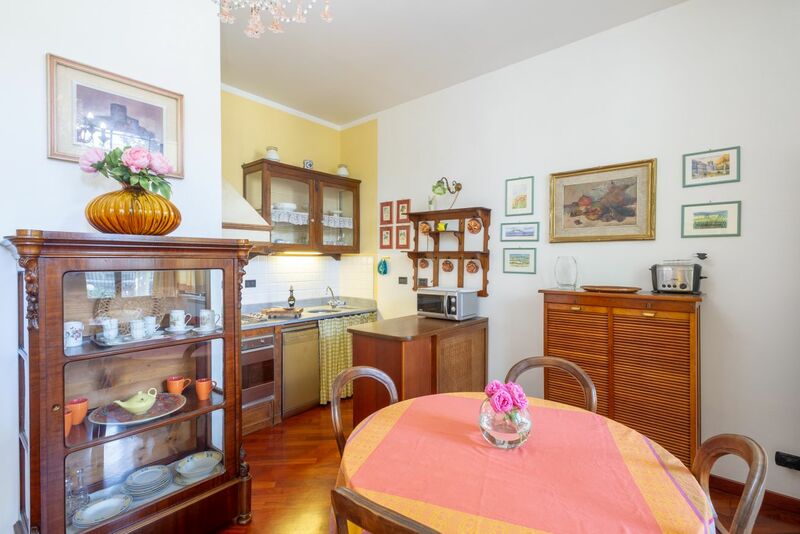 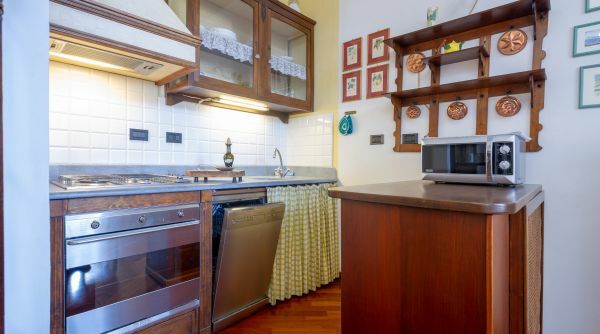 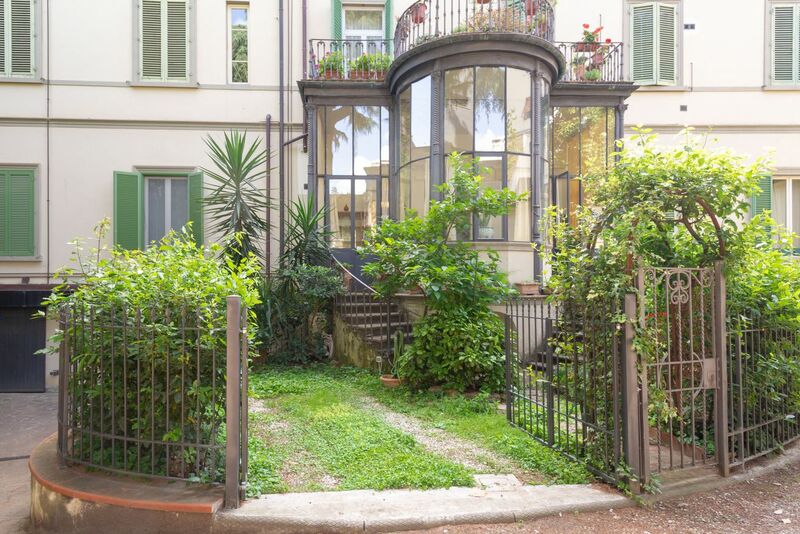 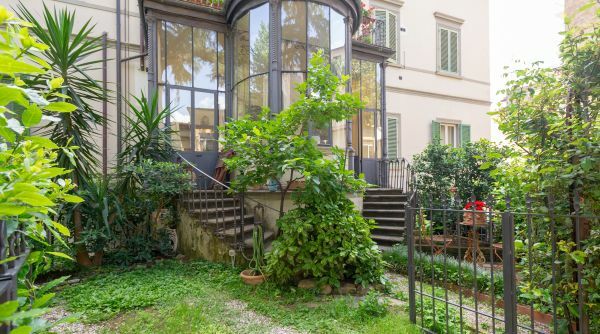 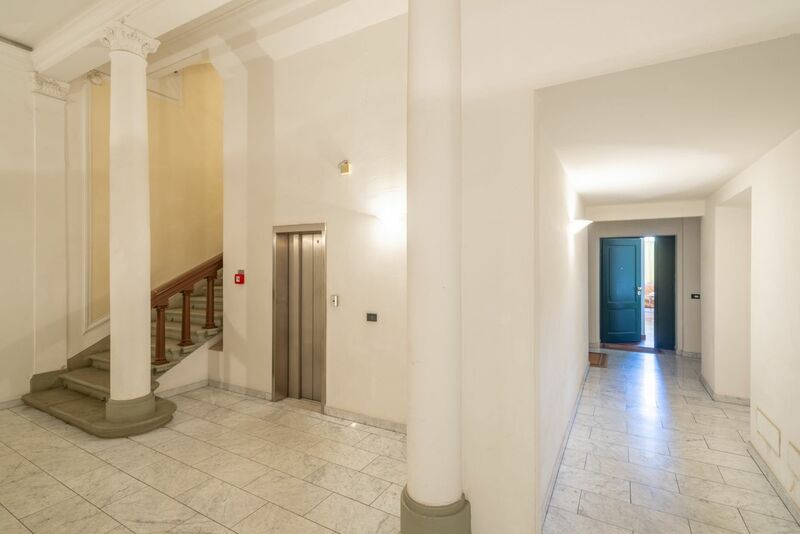 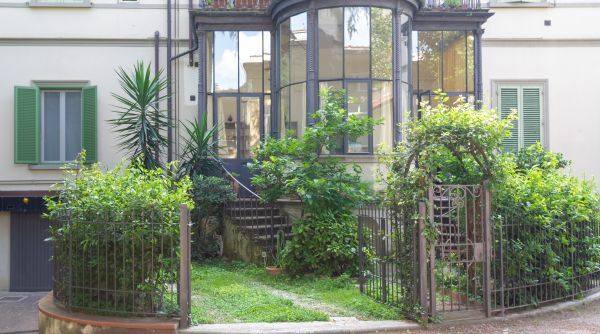 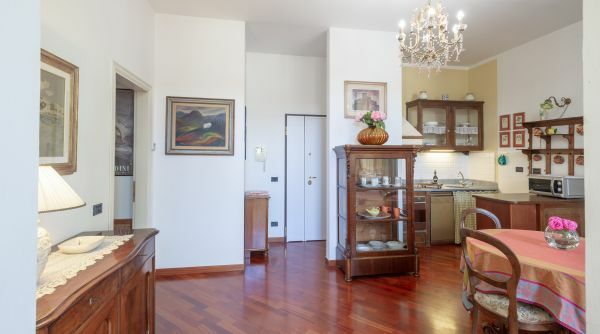 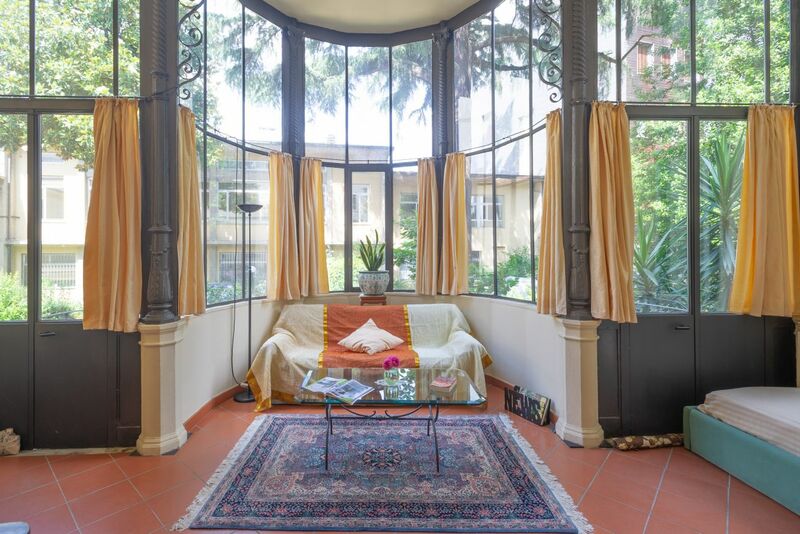 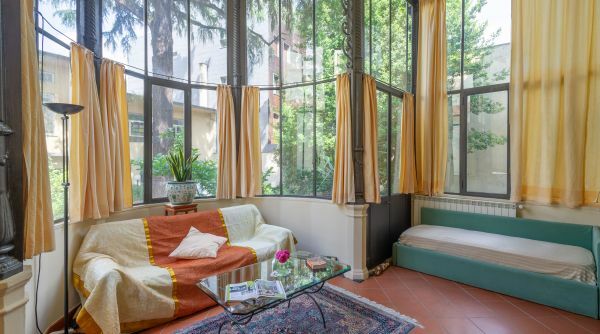 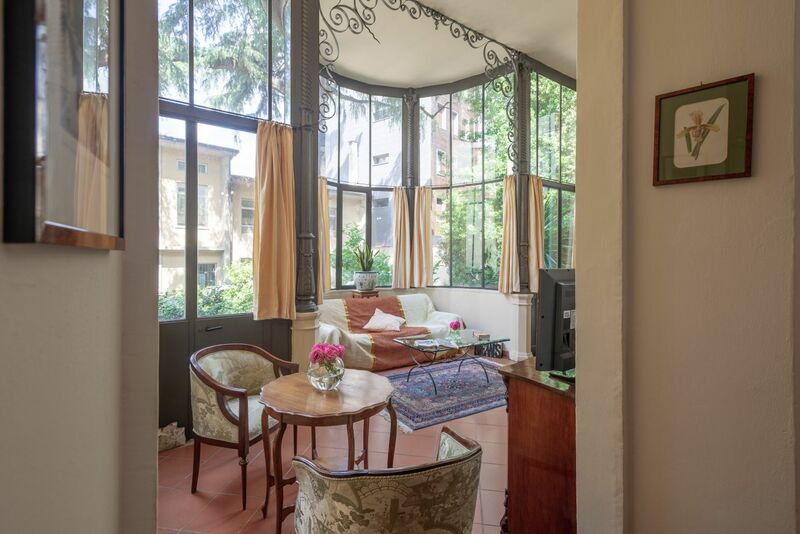 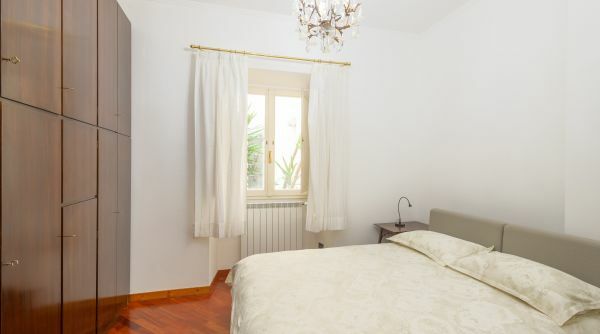 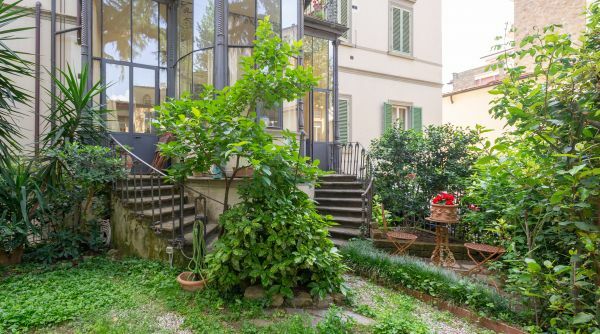 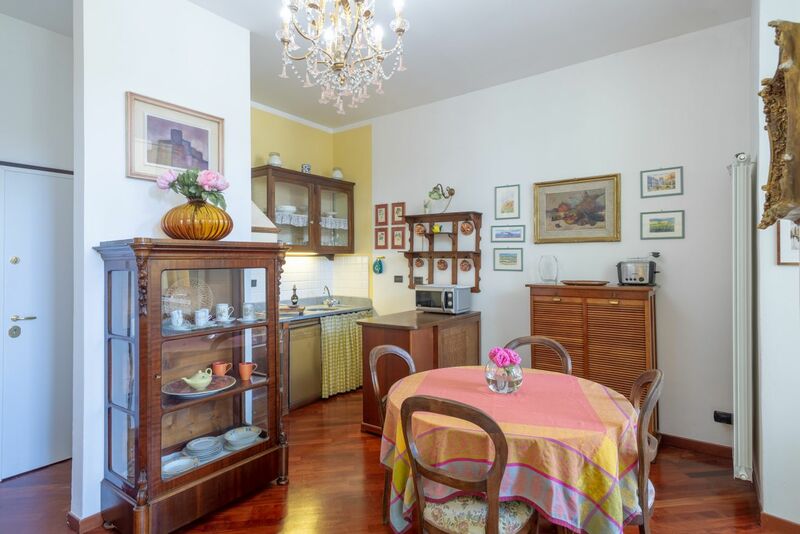 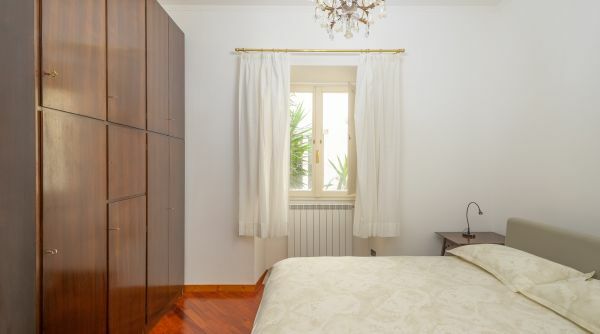 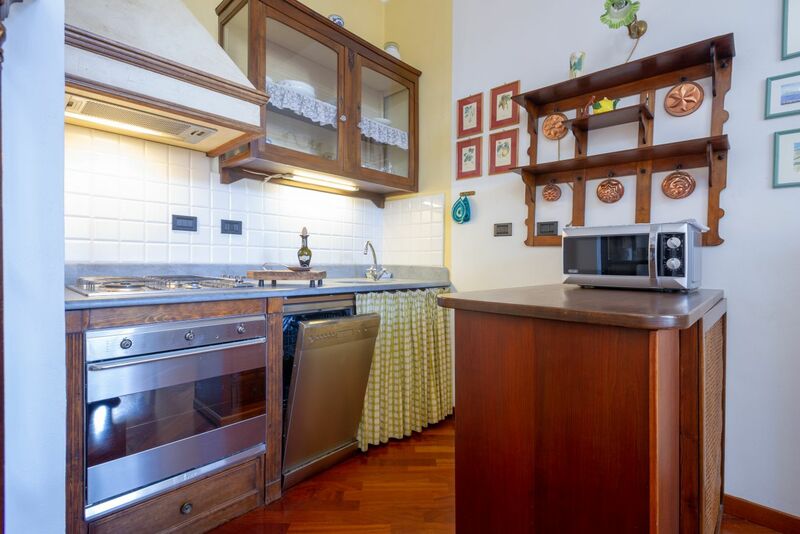 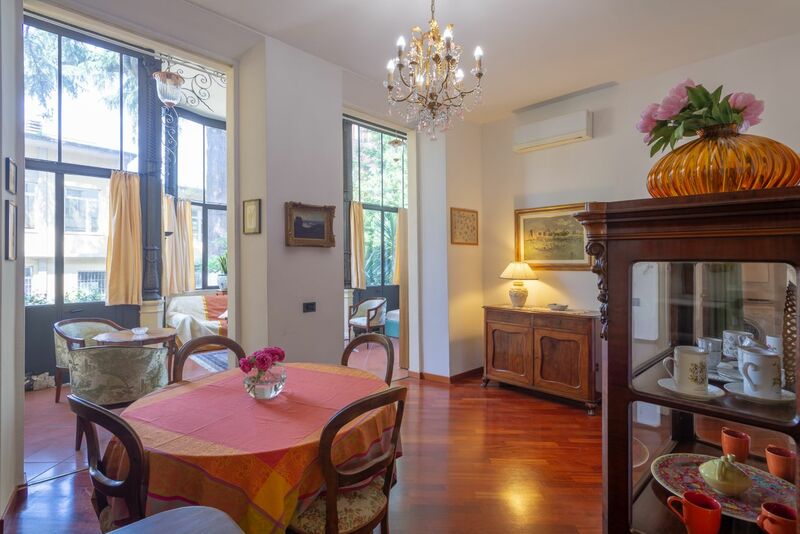 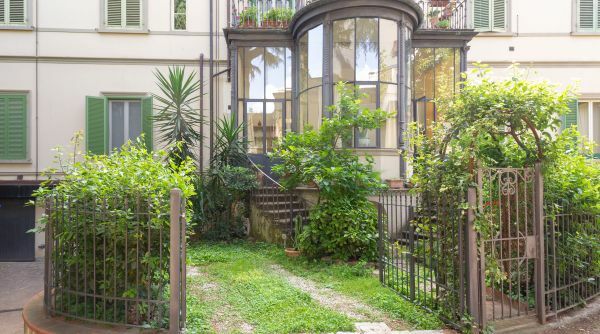 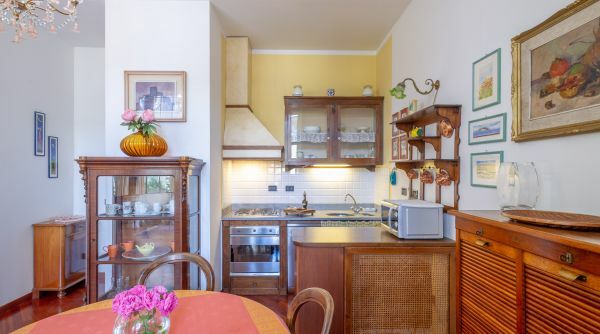 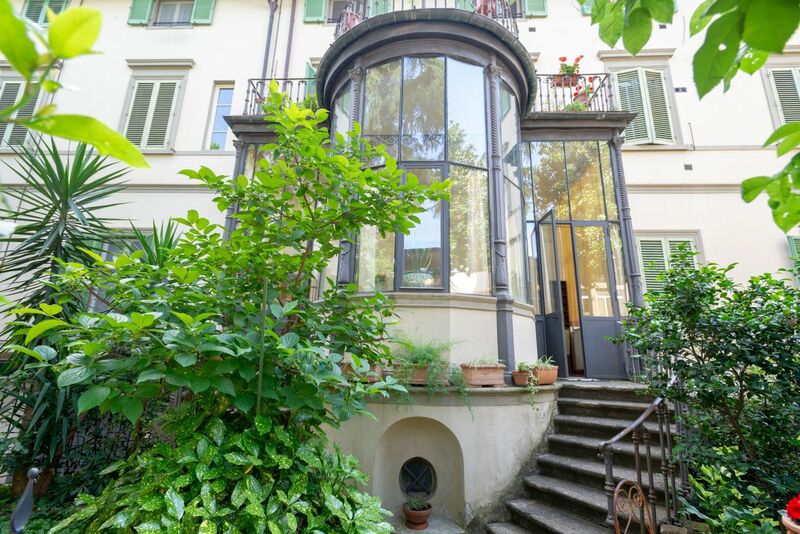 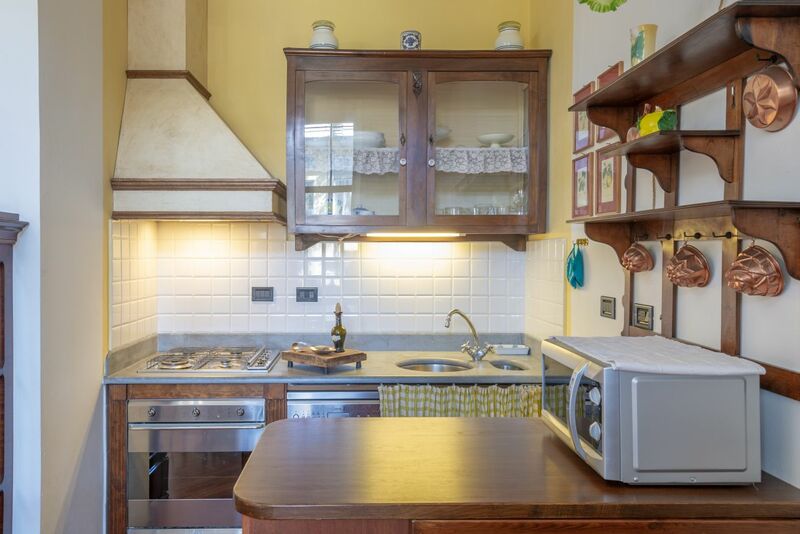 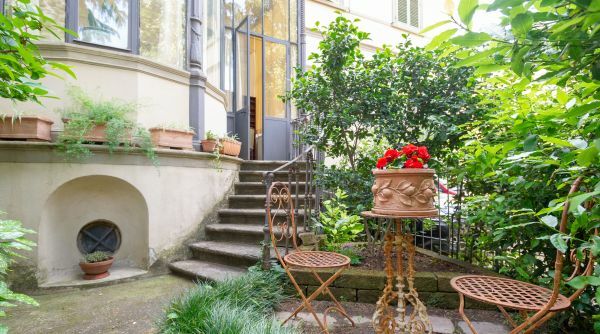 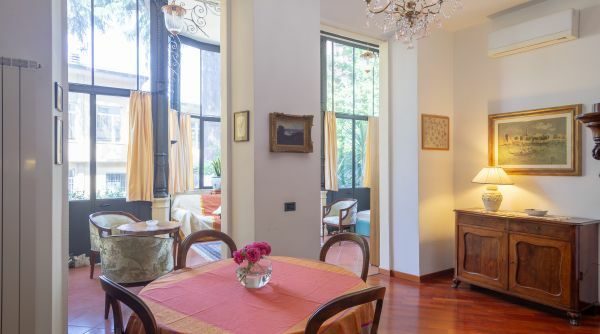 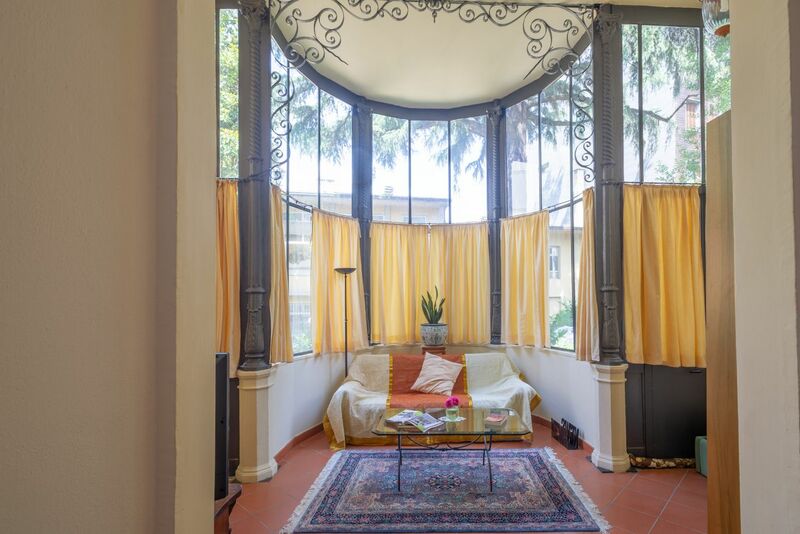 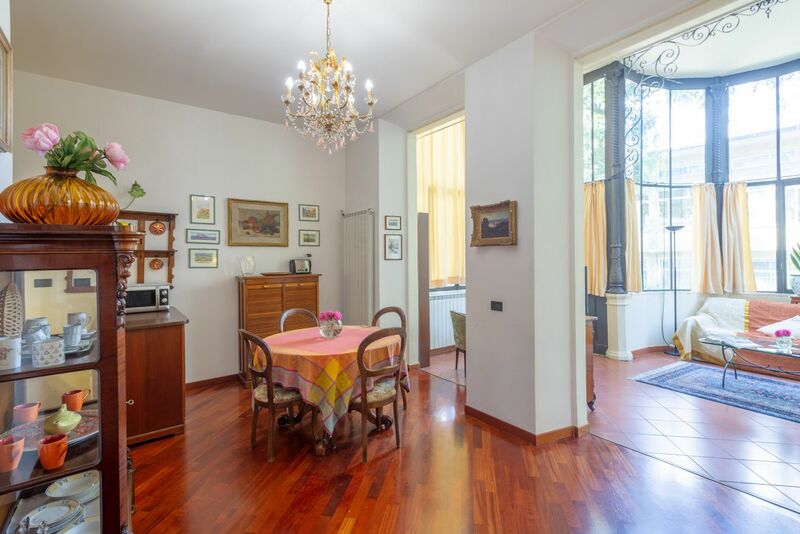 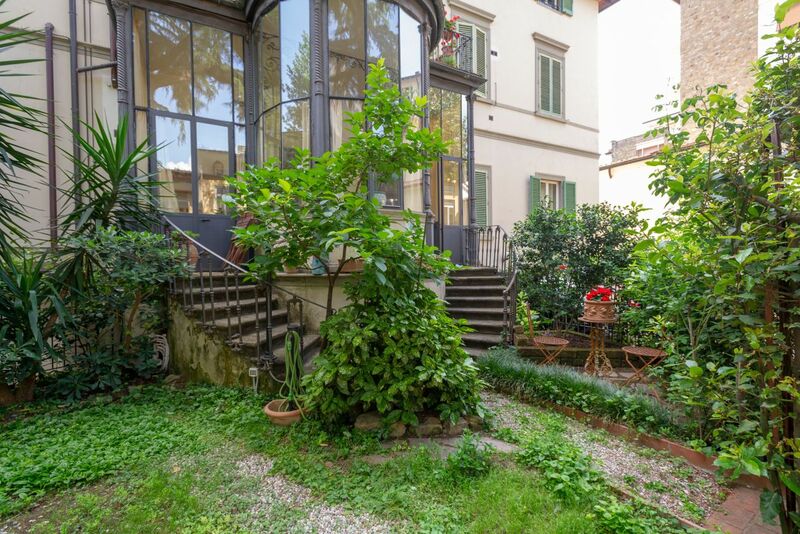 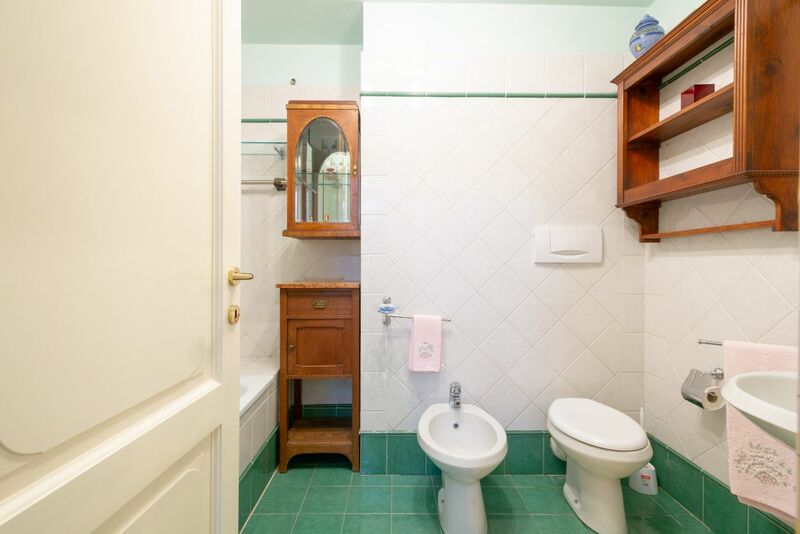 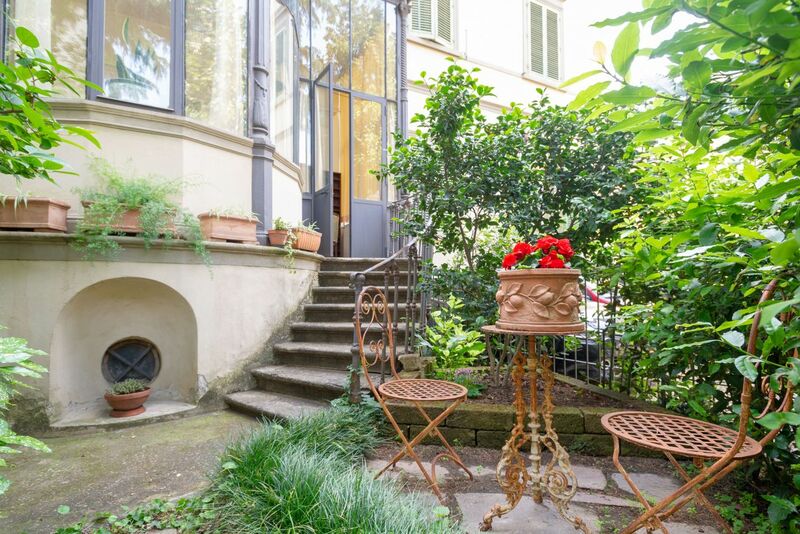 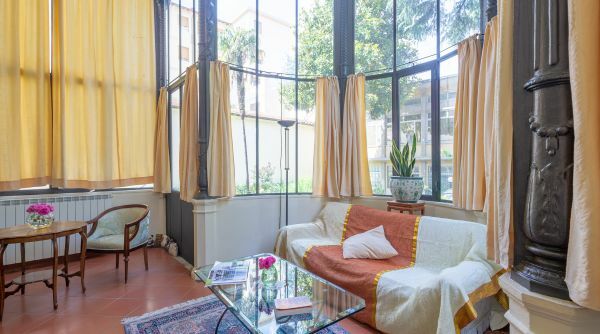 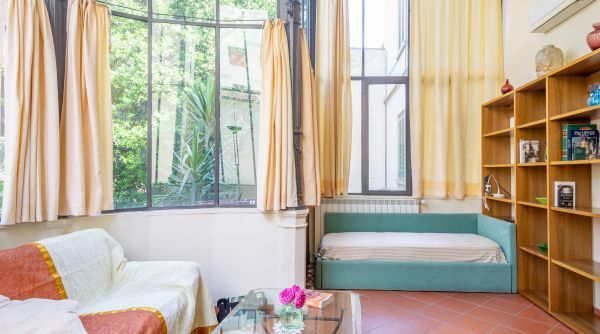 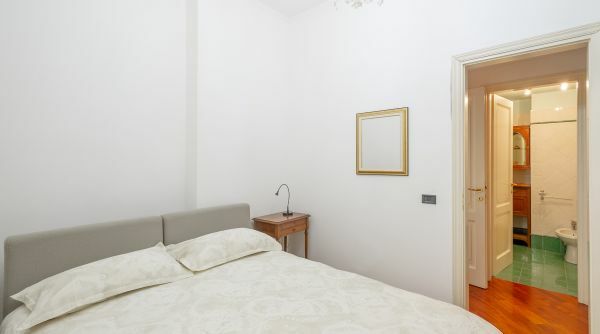 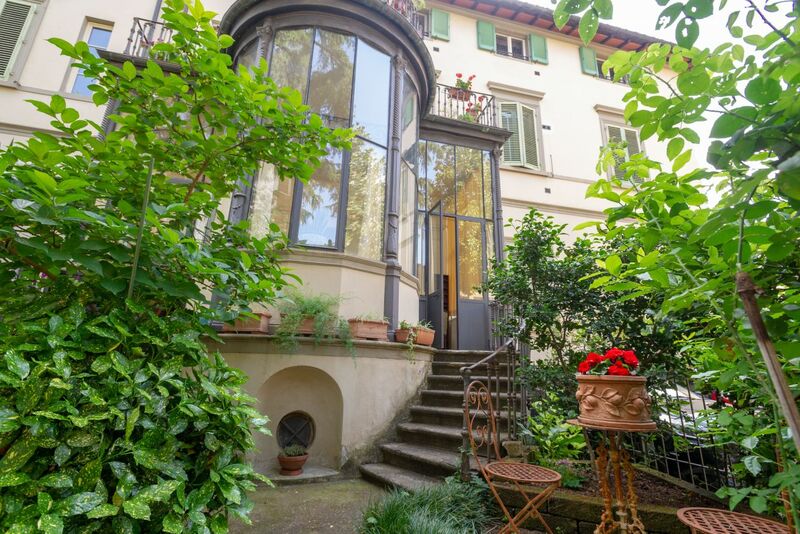 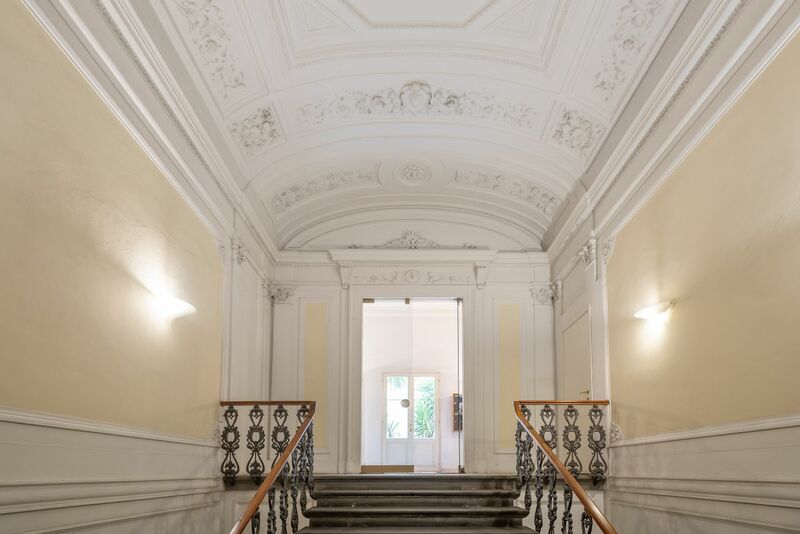 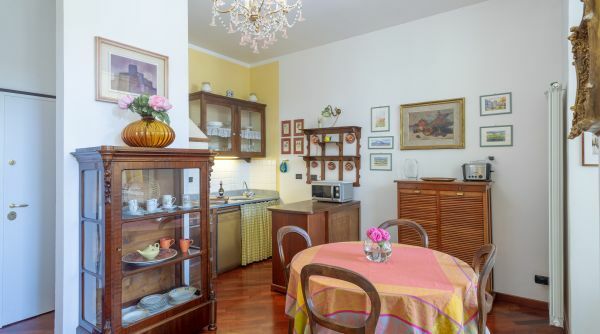 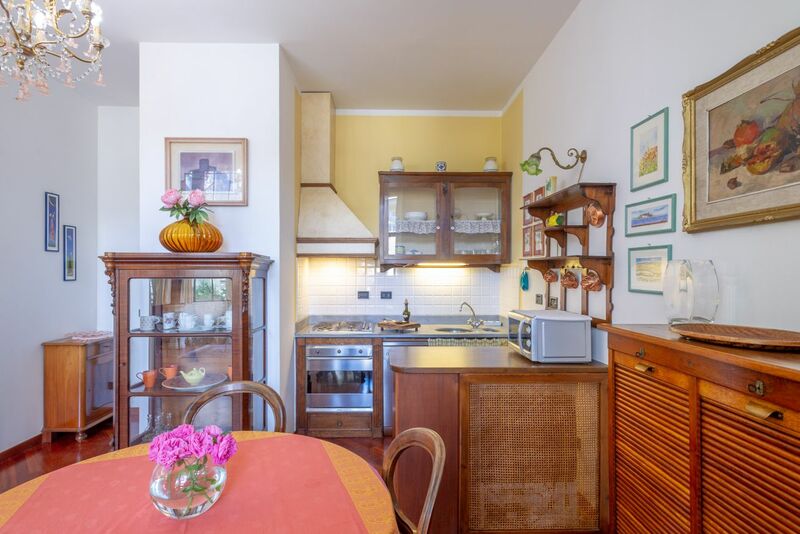 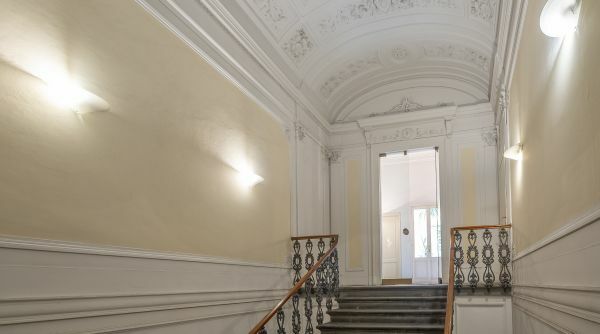 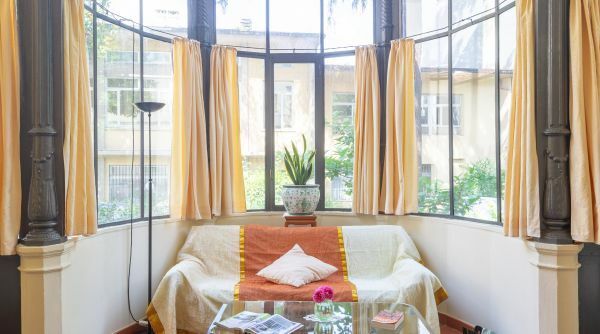 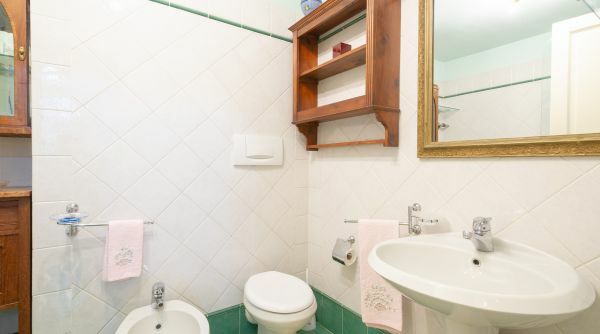 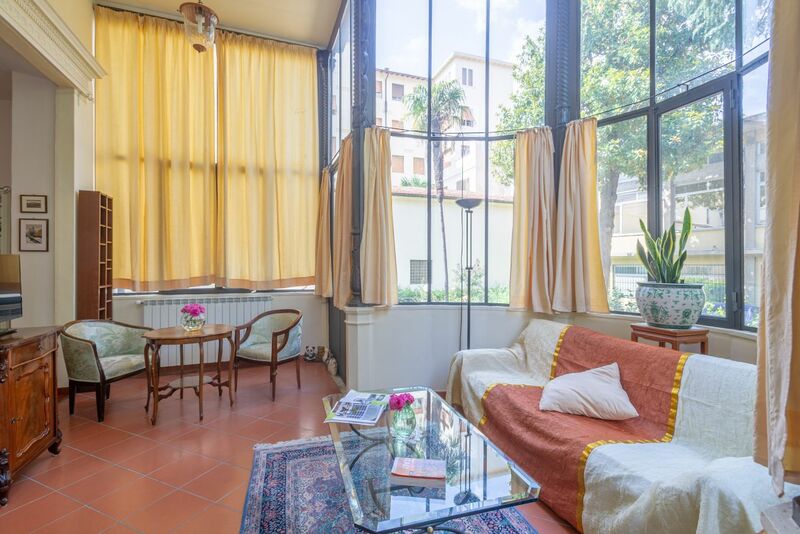 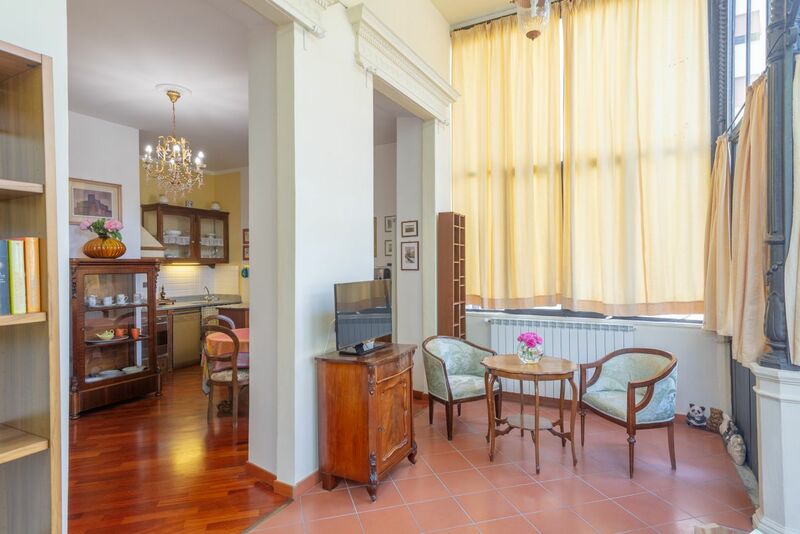 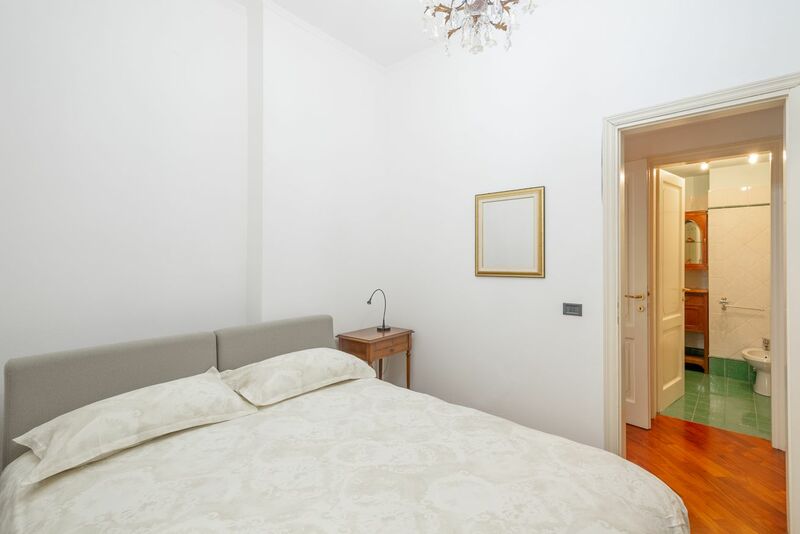 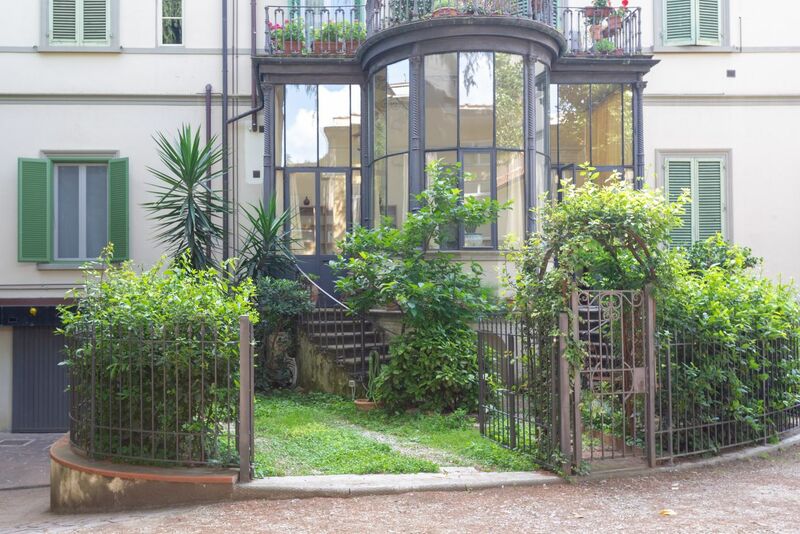 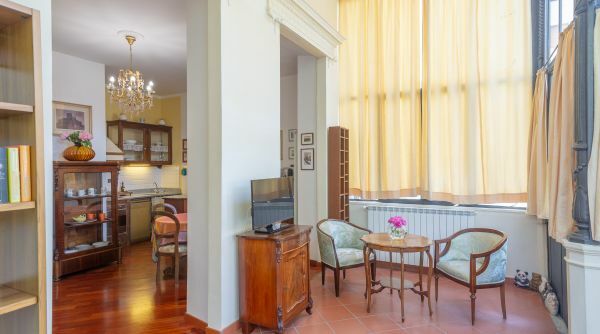 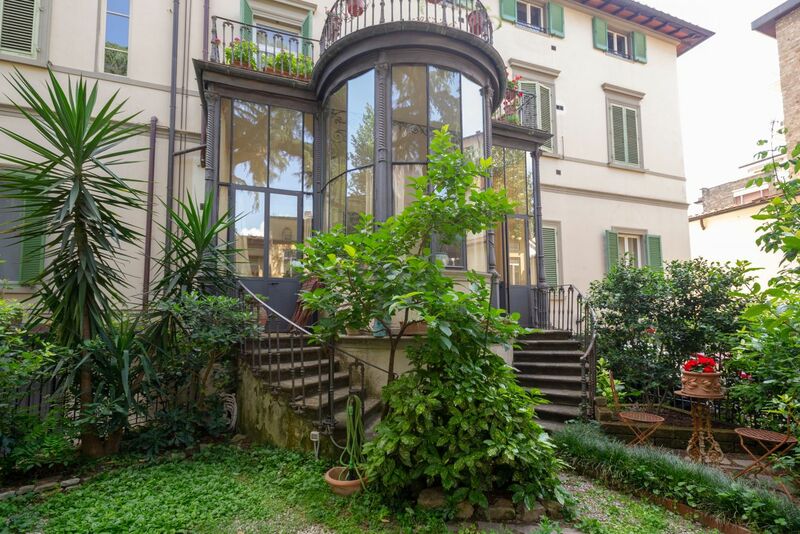 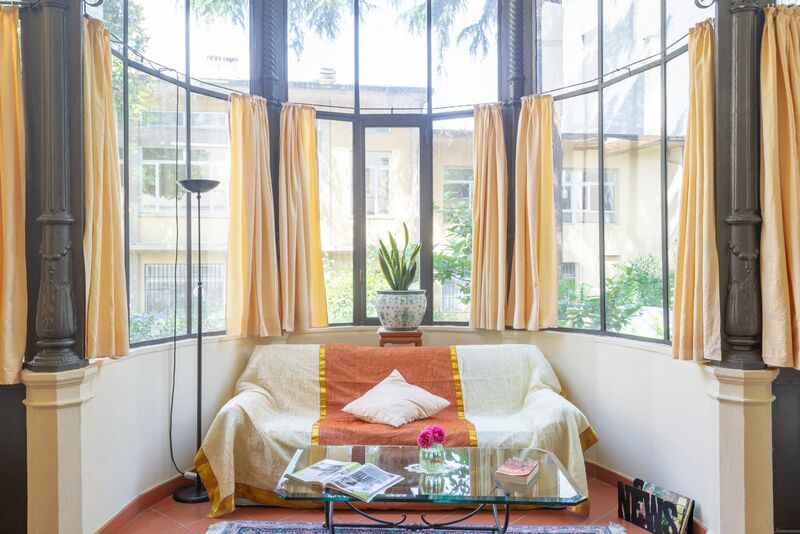 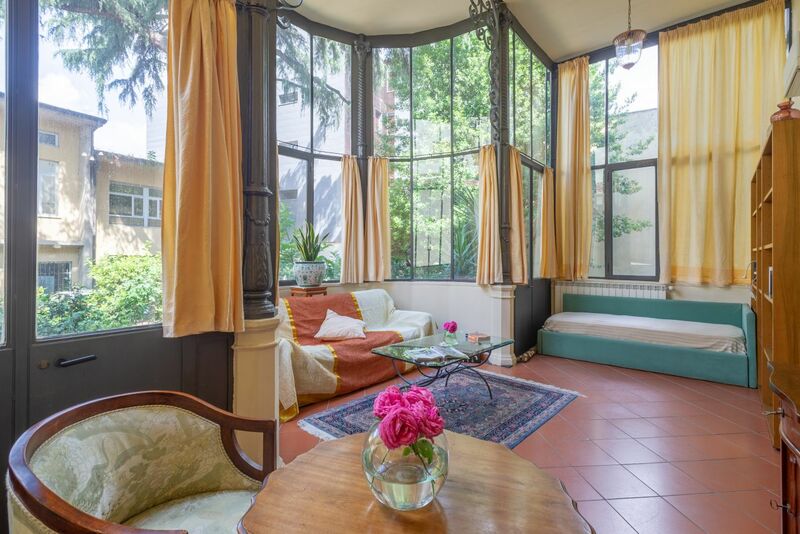 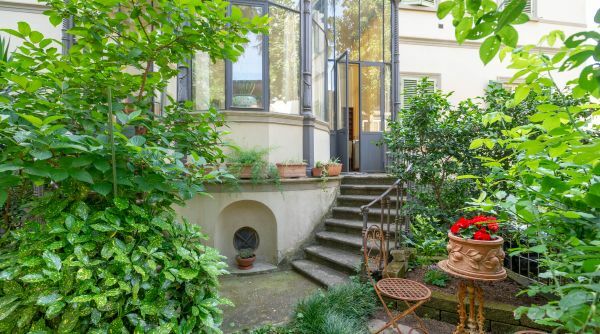 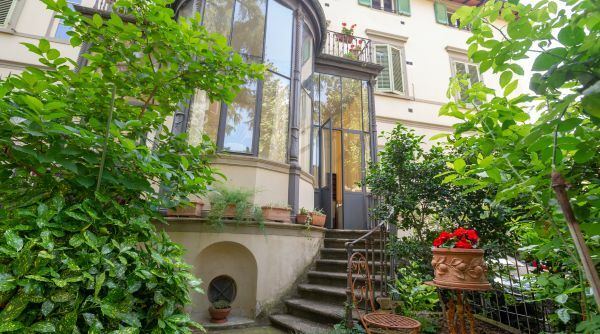 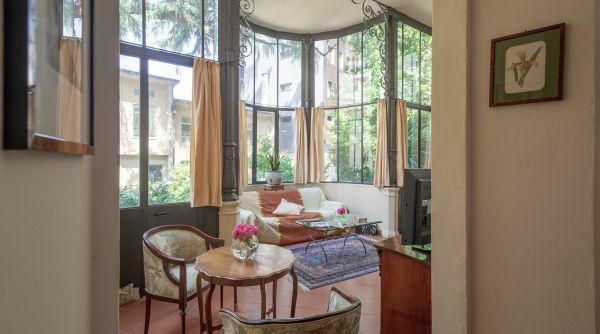 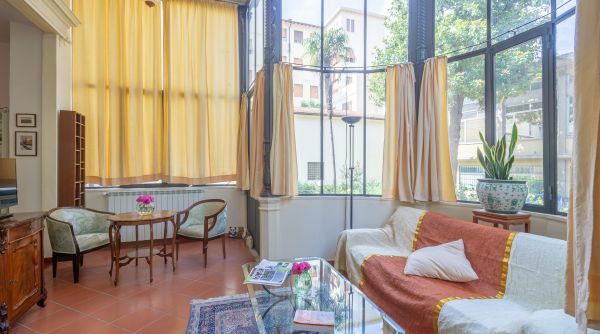 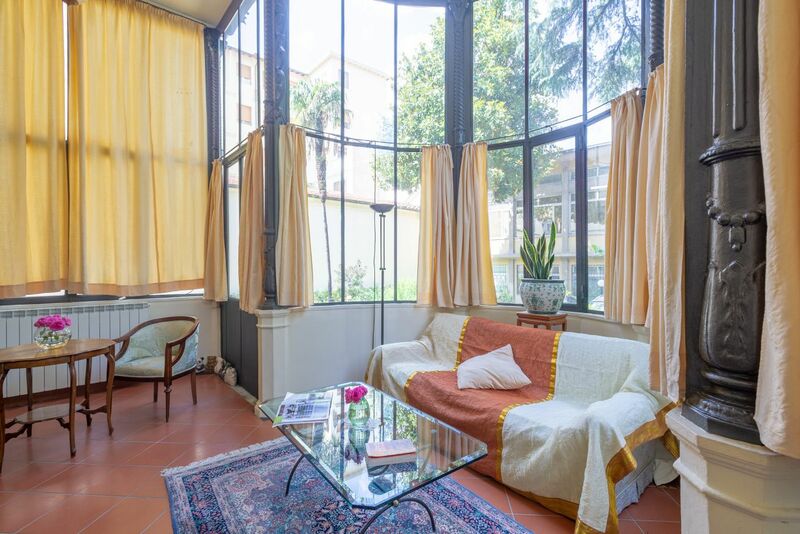 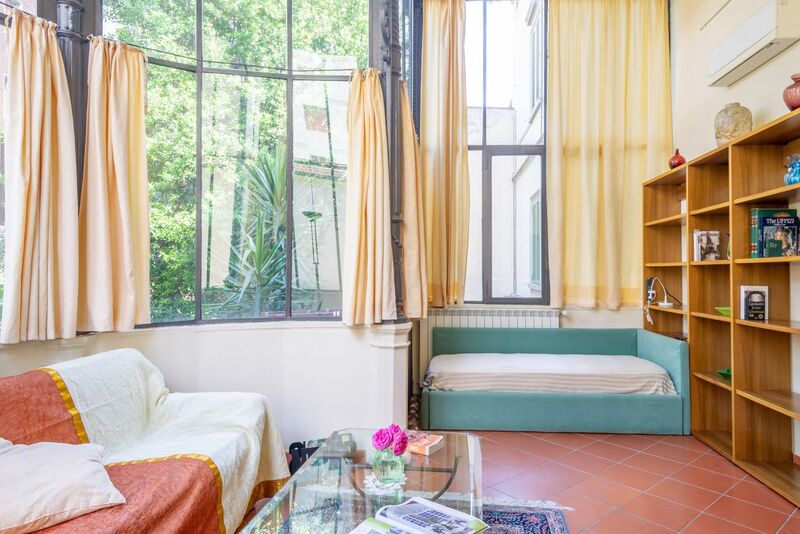 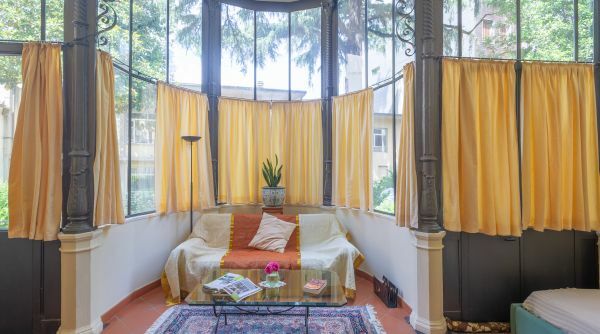 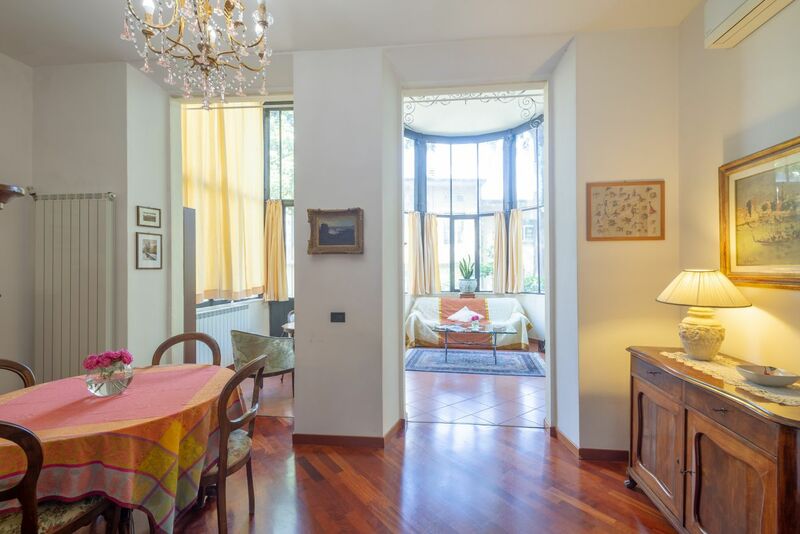 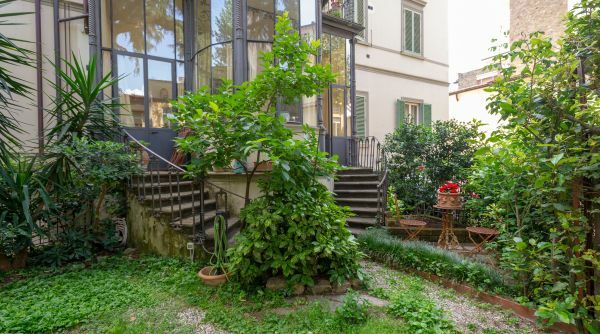 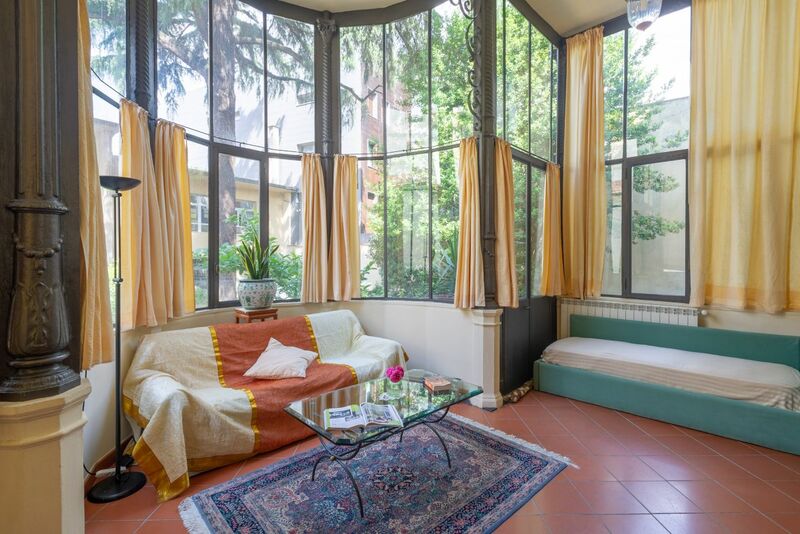 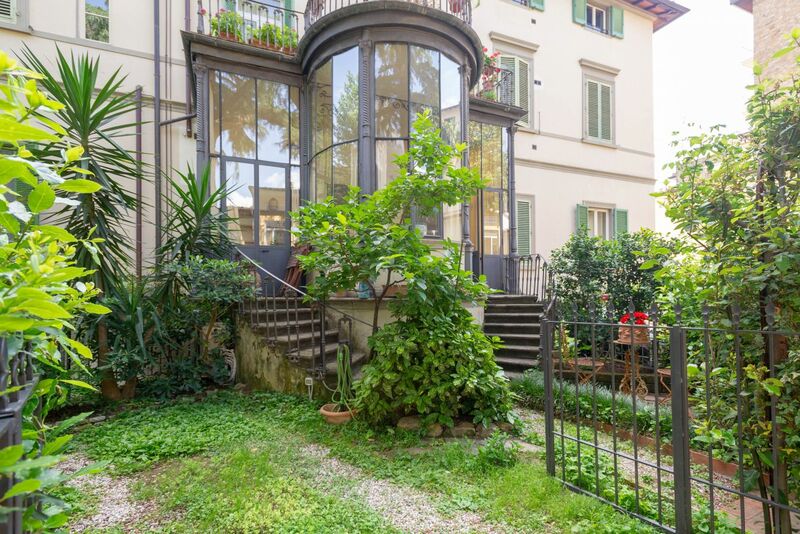 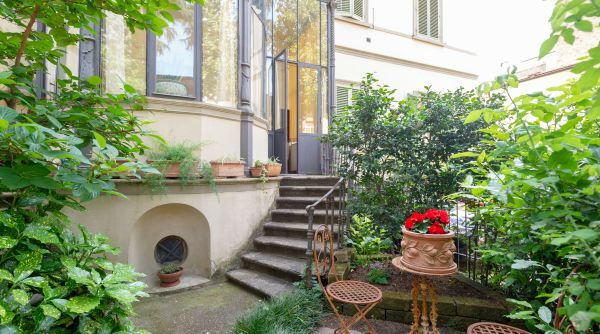 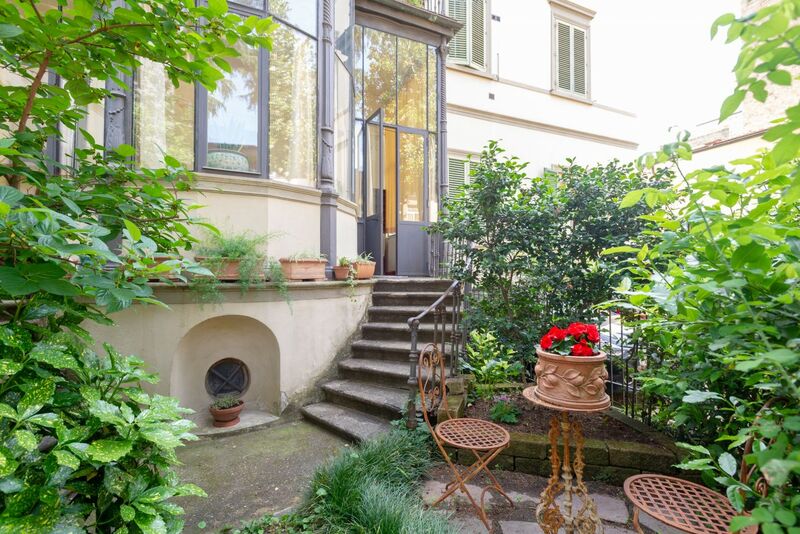 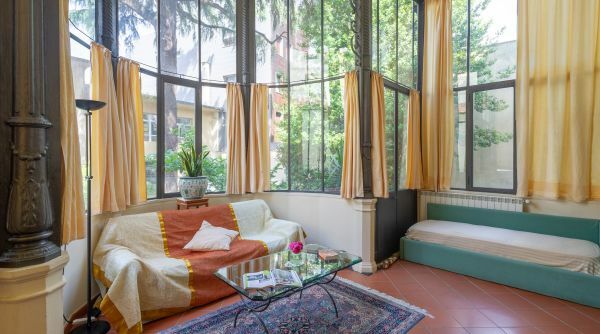 La Veranda Apartment is located in a completely renovated fine villa from the mid-1800s a stone's throw from the Teatro Comunale di Firenze, Stazione Leopolda and Parco delle Cascine and at about 10 minutes walking from the Santa Maria Novella train station. 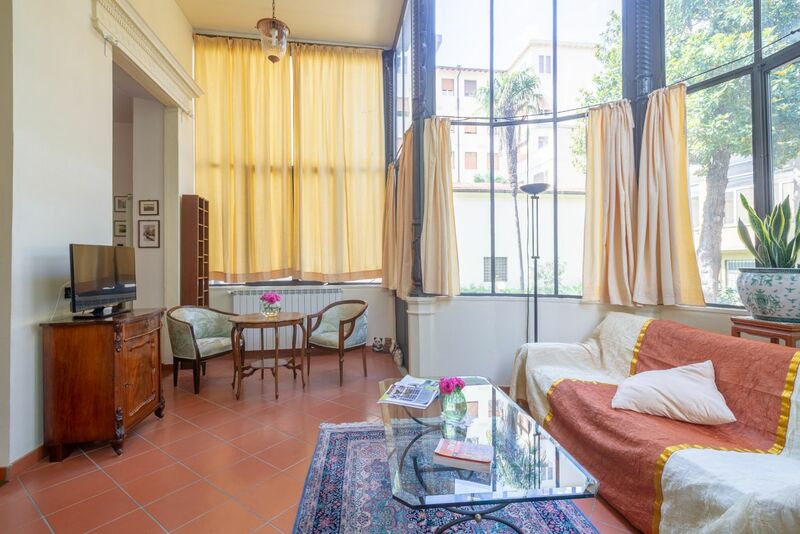 The apartment is really nice, bright and quiet; it is on the mezzanine floor of an elegant building and it consists of a double bedroom that faces an internal courtyard so it’s very quite, a recently renovated large bathroom with bathtub and shower, a dining room with fully equipped kitchenette and living room in an original cast-iron veranda from the 1800s which leads to a small private garden with a private parking space. 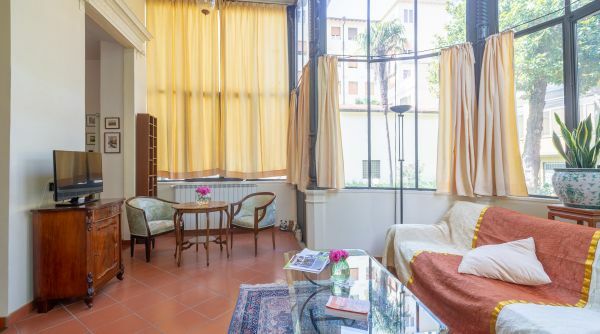 In the living room there is also a sofa bed with two single beds. 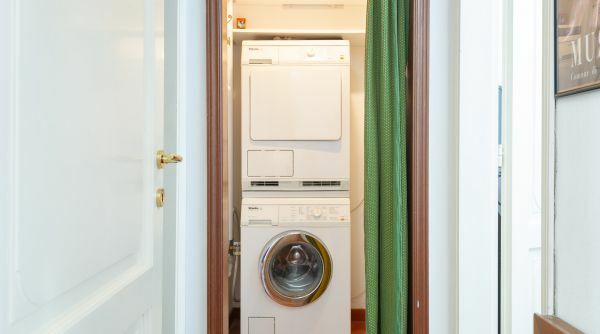 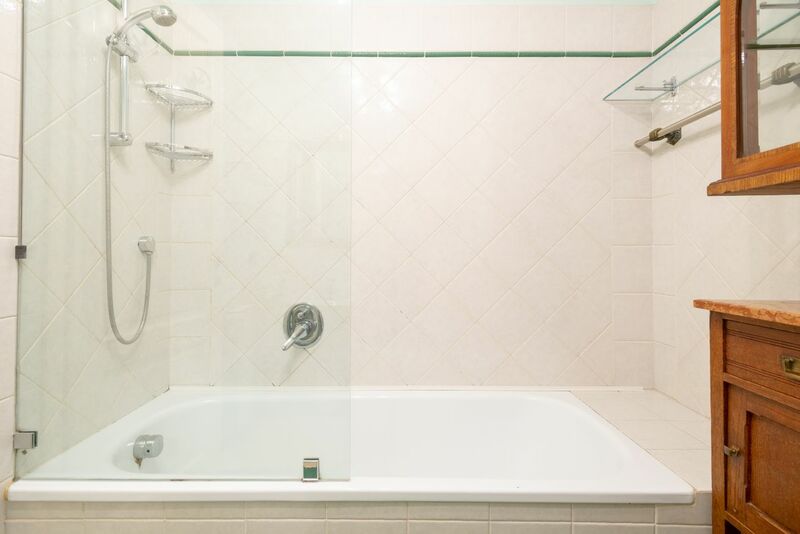 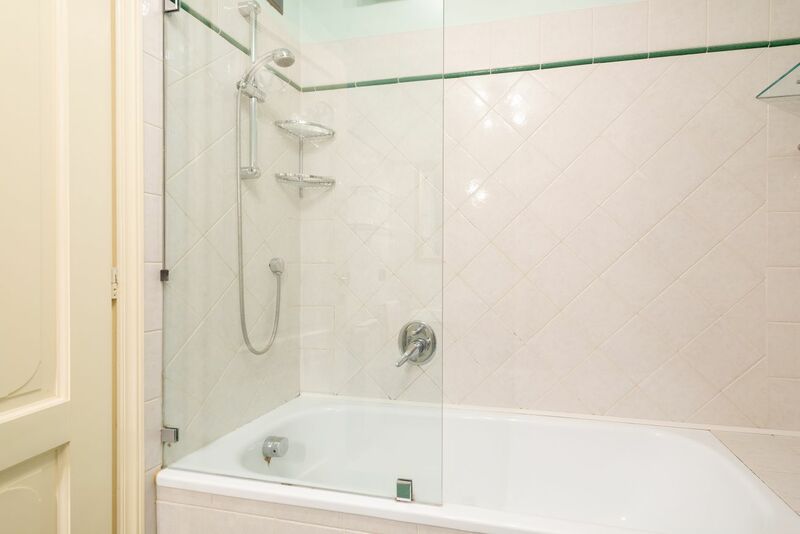 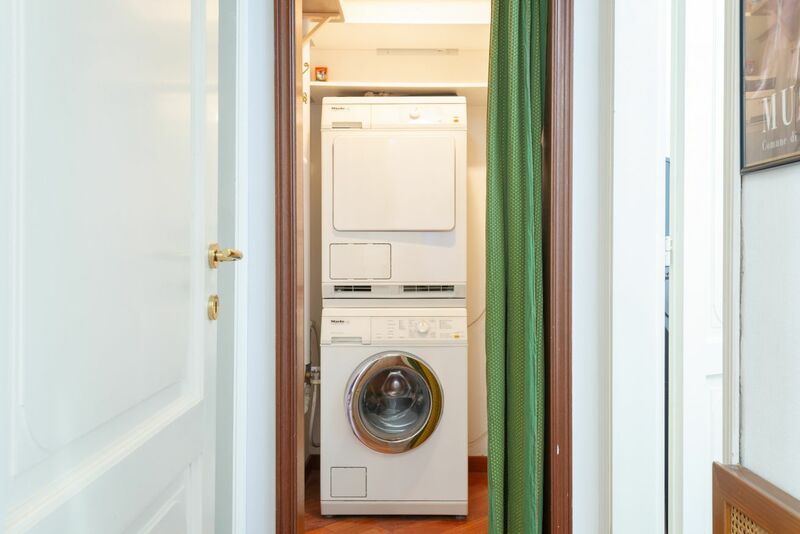 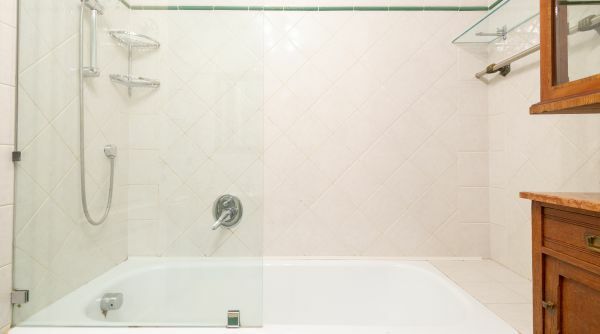 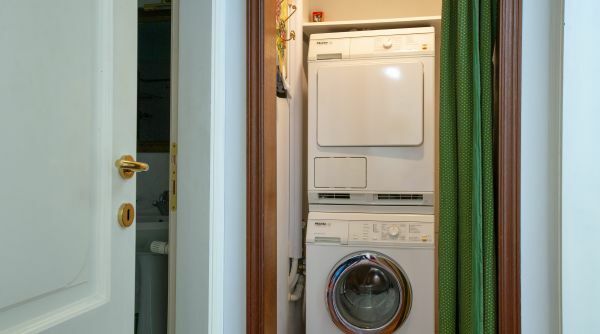 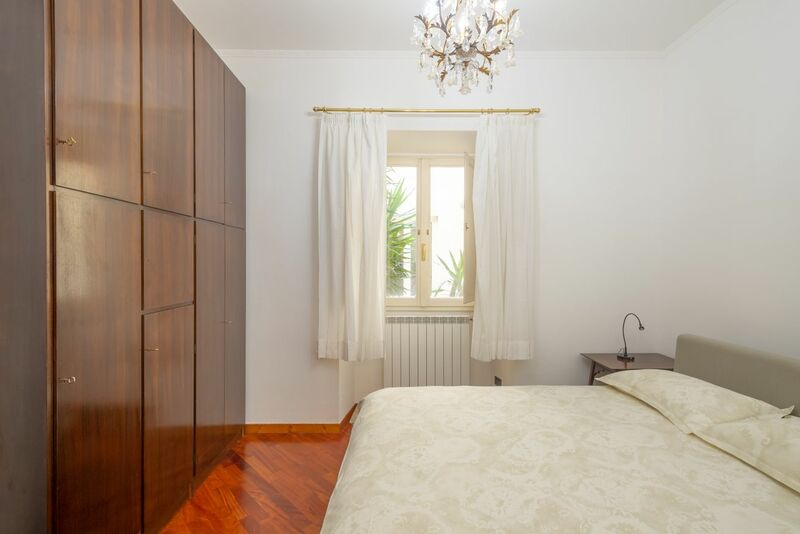 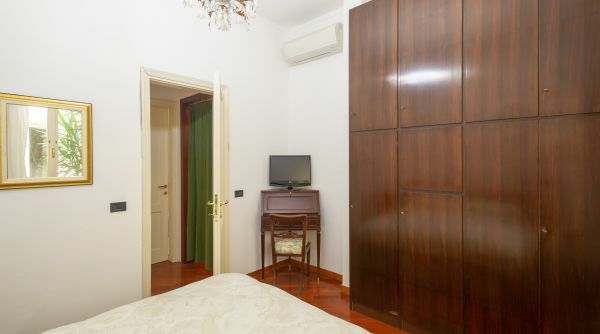 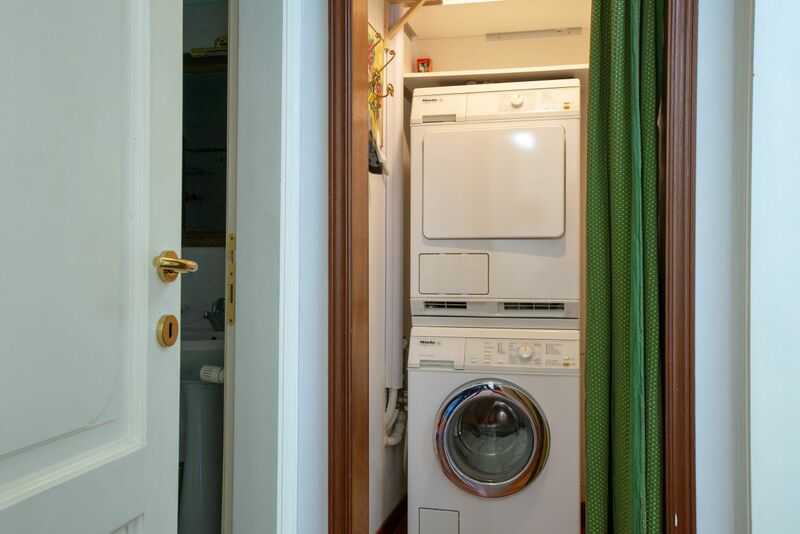 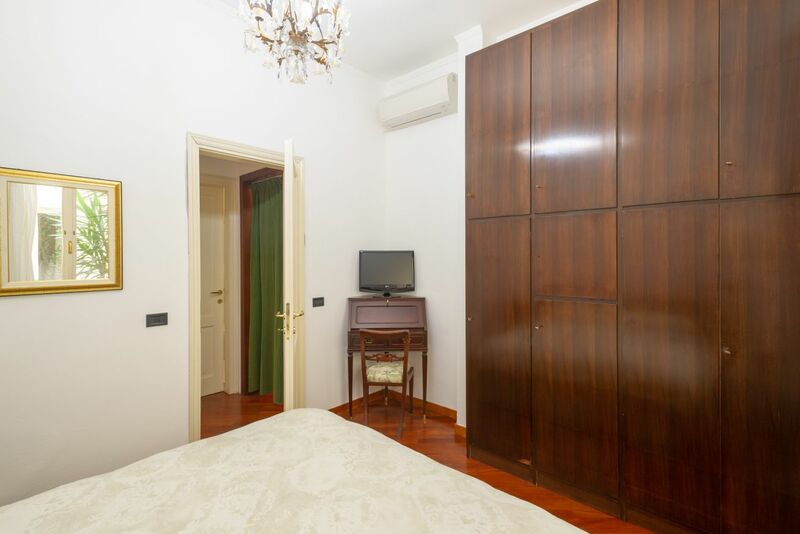 The apartment is elegantly furnished and equipped with all comforts, flat-screen televisions, laundry closet with washing machine and dryer, central heating and air conditioning. 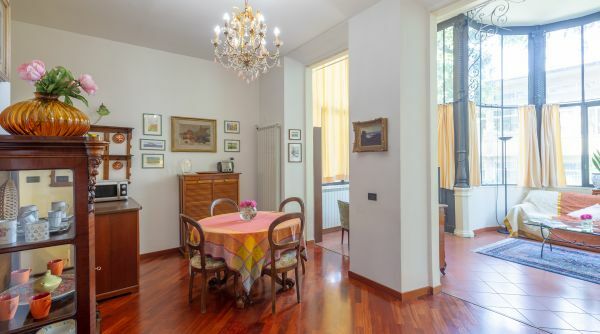 In addition to the tramway, the area is served by several bus lines that makes it very convenient for those who, while working in the outskirts, want to live a few steps from Florence historic center.